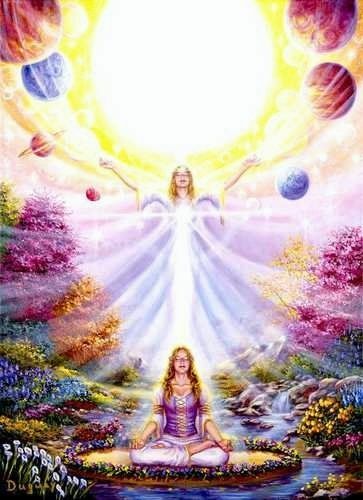 MESSAGES FROM ARCHANGEL MICHAEL *LM-10-2016, TRANSMITTED THROUGH RONNA "BECOMING AN EMISSARY OF LIGHT"
ARCHANGEL MICHAEL: Surfing the Tidal Wave of Prosperity to Create Dimensional Merge! In this quote from William LePar's spiritual source, The Council, they tell us how we earn entrance into the heavenly realms. The last sentence in this quote is truly a key to our success in life. Let’s talk about how to raise the vibration of your food by blessing it with light. There are many spiritual teachers on this planet, and each teacher gives you something else. It is like in a school....you have certain classes, and in each class you have something else to learn. The meaning of life is the development of the heart and consciousness. Preciouses all of Ye Prince's,,,, like the Gold of Ofer. more so,, Liquide and Velvet. I love U before all of time,,,, U are the Crystal of Yummyness.